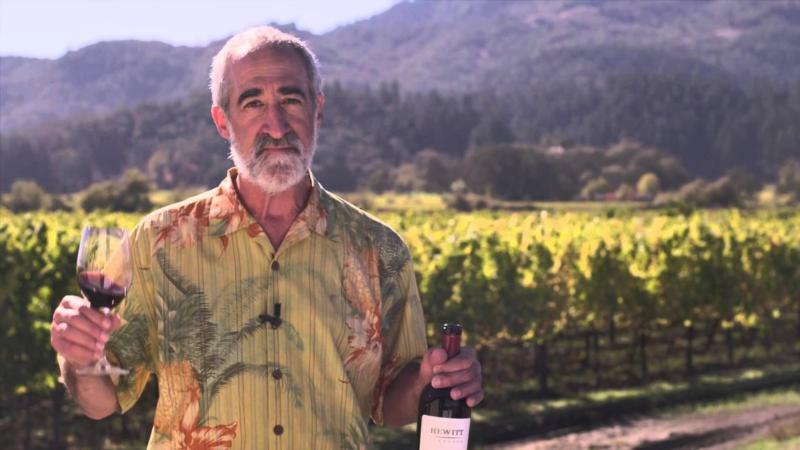 The unique character of Cabernet Sauvignon from Hewitt Vineyard® deserves full expression. Rather than blend it into an ensemble with wines from other vineyards, we let it sing with its own unique voice. Today Hewitt Vineyard is renowned as a single vineyard wine; the first such bottling was created in 2000. However, this vineyard site has a rich history of being a component of celebrated wines for more than a half-century. Dennis Hanrahan first planted the Hewitt Vineyard in 1880. At that time, this parcel bordered Gustave Niebaum's Inglenook estate, and in 1900 Georges de Latour purchased the adjacent land for his Beaulieu Vineyard. The Hanrahan Ranch passed to daughter Julie and her husband, Joseph Gagetta, who made wine prior to Prohibition and then kept the vineyard viable during Prohibition by shipping grapes east to home winemakers. William Hewitt, who was related to the Deere family by marriage and headed Deere & Company (producers of John Deere farm equipment) from 1955 to 1982, bought the vineyard in 1962. In 1992, he enlisted the assistance of legendary winemaker André Tchelistcheff to replant the vineyard to the finest Cabernet Sauvignon. Wine Spectator 92"Intense and full-blown, rich and concentrated, with a rustic, earthy edge to the dried currant, sage and underbrush notes. The depth and dimension of the flavors are cloaked in chewy tannins, requiring time to unfold. Best from 2010 through 2016."